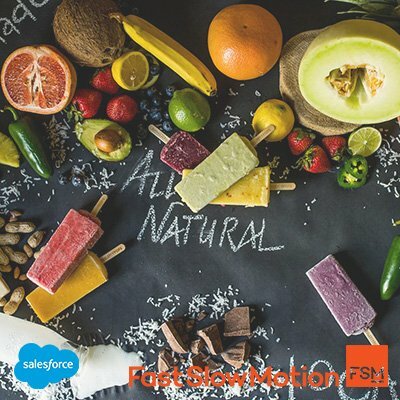 As a continuation to our post on the Salesforce Adoption Maturity Model, let’s discuss Basic Adoption in detail. Basic Adoption is usually attained when the entire team is tracking sales activities and managing prospect and customer relationships within Sales Cloud. The key to Basic Adoption is consistent usage – everyone is using the system on a regular basis and following similar processes. It’s not about perfection, it’s about consistency. Most companies in the Basic Adoption phase have made modifications for their specific business processes to help track important information about the Leads, Contacts, Accounts, and Opportunities they are engaging. Everyone knows that Salesforce is the go-to solution for the CRM and sales needs of any business, but did you know that it can do much more? Salesforce is a complete and comprehensive system that can manage your entire business from anywhere using any device. Customer Relationship Management (CRM), or as we like to call it – Consistent Relationship Management, solutions have been around for decades now and most everyone has tried to institute some level of CRM processes whether it is basic contact management or implementing a robust system like Salesforce. However, most companies have failed at adopting CRM processes and solutions. So why is implementing best practices within a good CRM solution so critical? Here are three main reasons why we think CRM is the most critical business process within your company and also why it’s important to have a good solution in place to manage these important business processes. Salesforce is a highly flexible, versatile solution that can help any organization manage their entire business from sales and marketing to customer support to client retention, and so on. Having so many use cases and so many features, implementations can seem overwhelming and too complex. Here are 3 keys to implementing Salesforce to maximize the benefits of the solution while increasing adoption and success.